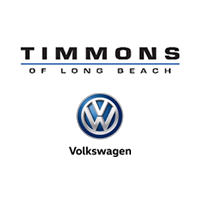 If you’re searching for used cars for sale near Long Beach, you won’t need to sacrifice on price or quality when you shop at Timmons Volkswagen of Long Beach. No matter the make or model year you’re looking for, we’re sure to have something on our lot that suits your driving needs. Browse our current inventory of used cars, like the Jetta or Passat, for sale in Long Beach for a closer look at used car inventory, as well as our other popular pre-owned options. We hope you choose us as your preferred used car dealership near Long Beach. When you’re ready to get behind the wheel of a used car that won’t let you down, apply for financing online to get a jump start on the process! Looking for a clean, well-cared for 2018 Volkswagen Passat? This is it. Drive home in your new pre-owned vehicle with the knowledge you're fully backed by the CARFAX Buyback Guarantee. Start enjoying more time in your new ride and less time at the gas station with this 2018 Volkswagen Passat. Clean interior? How about flawless. This Volkswagen Passat looks like has never been used. Surprising quality accompanied by a high level of performance...this Reflex Silver Metallic on MOON ROCK SILVER Volkswagen Passat 2.0T S could end up being the perfect match for you. Thank you for visiting another one of Timmons VW Subaru's online listings! Please continue for more information on this 2019 Volkswagen Jetta S with 2,941mi. CARFAX BuyBack Guarantee is reassurance that any major issues with this vehicle will show on CARFAX report. This Volkswagen Jetta is beautiful and the interior is clean with virtually no flaws. There are many vehicles on the market but if you are looking for a vehicle that will perform as good as it looks then this Volkswagen Jetta S is the one! Surprising quality accompanied by a high level of performance...this Platinum Gray on BLACK CLOTH Volkswagen Jetta S could end up being the perfect match for you. Contact Timmons VW Subaru today for information on dozens of vehicles like this 2018 Volkswagen Tiguan S. How to protect your purchase? CARFAX BuyBack Guarantee got you covered. This is a Certified Pre-owned vehicle, so you can feel rest assured that it has been meticulously inspected from top to bottom. On almost any road condition, this Volkswagen Tiguan S offers solid performance, reliability, and comfort. Looking for a Volkswagen Tiguan that is in great condition inside and out? Take a look at this beauty. Contact Timmons VW Subaru today for information on dozens of vehicles like this 2017 Kia Forte LX. Your buying risks are reduced thanks to a CARFAX BuyBack Guarantee. Save money at the pump with this fuel-sipping Kia Forte. In addition to being well-cared for, this Kia Forte has very low mileage making it a rare find. If not for a few miles on the odometer you would be hard-pressed to know this 2017 Kia Forte is a pre-owned vehicle.